What is rage? I'm not talking about the angst that bands like A Silver Mount Zion pander to in order to make a living (hey, we've all got to get by somehow), but pure, unadulterated rage. It seems that, at least in America, we're rage-deficient, a passive-aggressive generation, if you will. We bottle up our rage at our jobs, at those around us, at wars, all to maintain a sense of comfort in the known. What I am saying is nothing new, nothing extraordinary – it is probably a clichéd platitude by now – but that doesn't make it any less true. The question that needs to be asked, however, is where has the rage gone? Where is the purifying, obsessive voice that the emotion lends to human individuals? Dayton, Ohio's Mouth of the Architect has found it, and wants you to find it, too. Quietly is the band's first complete monument to rage, a beast of a release with a purpose. 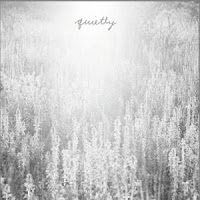 Quietly is the album's ironic title – as you'd expect if you're familiar with the band, there's not too much that is “quiet” about Mouth of the Architect. The release does step into the realm of significant ambient passages for the first time, however, and the effect of contrast is nothing short of stunning. The eerie “Pine Boxes” creates the most haunting effect on the release with samples of a woman and man repeating the phrase “I just remember this feeling of... emptiness.” The most interesting part about the track is how it is used to contrast with the track that precedes it, “Hate and Heartache.” The track begins with a sample urging people to anger, to rage against the perceived failings of the world around them, which leads into an overpowering composition the likes of which Mouth of the Architect is famous for. The band follows this with the aforementioned track of passivity, of emptiness, to highlight the distinction between the two: “Hate and Heartache,” though painful and difficult, is ultimately energizing and filled with vitality, and preferable to the mere emptiness that follows. Perhaps the most interesting decision the band makes regarding the ambient track is that it isn't immediately followed by a brutal explosion of distortion. Mouth of the Architect knows how effective quiet-loud compositions can be, and an explosion right after such a quiet piece can really get the listener right where you want them (they do, in fact, use this trick later in the album). But the band wants the unsettling feeling created by “Pine Boxes” to sit with you, and so “Guilt and the Like” develops slowly. If this isn't masterful album organization, I don't know what is. All of this is elegant conceptual grounding for the heart of the album, “Generation of Ghosts.” The band has found their source of rage in the lack of rage around them, in the utter passivity and emptiness of their peers, and this is the point where the statement is made. Everything is executed flawlessly, from the opening wall of sound to the inclusion of female vocals, used to contrast the guttural growls that dominate the album. But really, the most important thing about the track is that it completes the band's molding of the listener, from a passive receptor of events to an angry, active interpreter, able to roar out with Mouth of the Architect themselves and join them in the beautiful celebration of this achievement.